Can Exam Preparation Apps Replace Coaching Classes in India? Exam preparation apps are competing with coaching classes. For some students, learning online is more effective. Low course completion rate is the biggest challenge. Coaching classes still hold an iron grip on exam preparations, but this is another industry that could soon get 'disrupted'. Traditionally, preparation has been associated with a classroom where a group of students are tutored by a teacher. New startups want to break the group study model, which they say doesn't work for most students. Joe Joshua Kochitty, product manager at online learning startup Toppr, says, "Coaching class doesn't work for most people. If you practice differently, you fall behind." Every student has a different way of studying, and quite a few of them may not be able to follow the set pattern of teaching that coaching classes follow, Kochitty says. That might be true, but companies like Toppr have an equally big problem - keeping students engaged. 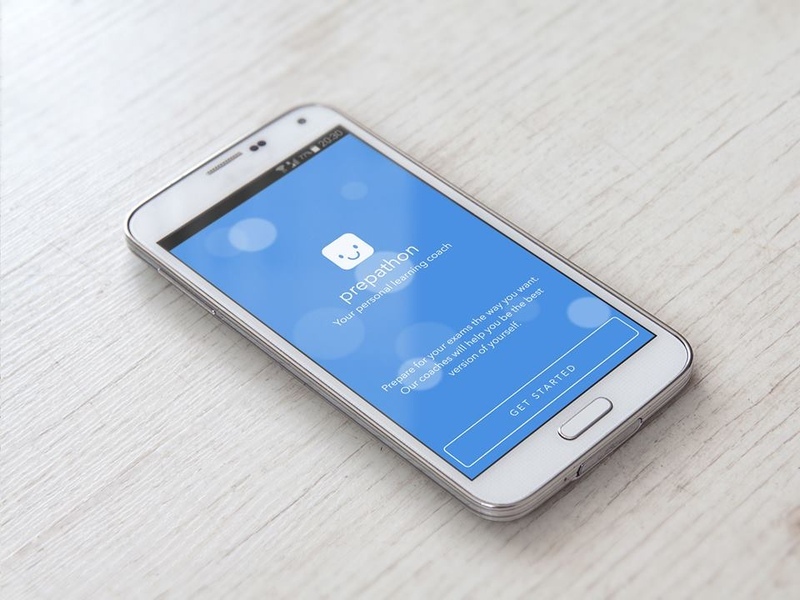 Prepathon, an app for online preparation designed by education startup Pagalguy, is tackling this problem through bots. "If you look at Coursera, the course completion rate is just 3 percent," says Pagalguy CEO Allwin Agnel, and [though most studies peg that number as closer to 10 percent it's still pretty low. Prepathon uses bots in a big way to encourage more students to complete its courses. "Our bots provide coaches with insights like these 3,000 people haven't logged in today. Coaches can then click to send all of them a message," Agnel says. This helps Prepathon keep students engaged with the app. Other bots send messages to students and guide them as well. Prepathon allows students to message coaches, who can then answer their queries. This adds a personal touch that may sometimes be lacking in online learning through a Massive Online Open Course. However, according to Agnel, very few students actively ask questions or voice their doubts. He compares this to a typical classroom, where only a few students ask most of the questions. That's why the bots are seen as an important part of the equation - as this helps the coaches to reach out to the students who need the most encouragement. "Bots set [students'] agenda for the day. We have a feedback bot. If a student studied a topic a week ago, it asks them if they want to revise it," Agnel says. Toppr's Kochitty has similar thoughts. "Ninety-five percent of students are not active learners. Active students have up to 15 queries a day [Toppr also allows students to ask questions], while inactive [learners] have around two doubts a month," he says. Vikas Gupta, a 25-year-old engineer based in Mumbai, used Prepathon to prepare for CAT (Common Admission Test - for admission to MBA courses in India). He says he loves the app's Coach feature. "It's like WhatsApp. If you're asking something you get an instant response. It helped me clear all my doubts," he says. Gupta says he used the app when he was on the move. "When on the move, I didn't have to carry a book with me. It [study material] was all on the phone. It was very handy that way," he says. Even though he found the app useful, Gupta didn't use Prepathon as his sole learning platform. "I'd also joined IMS, which is a coaching class. The part about having a classroom was basically the test. When you have a 3-hour CAT to give, you need an atmosphere where you sit in a classroom and appear like the actual exam that you're giving," he says. "That is not feasible on the phone but the learning part is happening on the phone." Unlike Gupta, 25-year-old Faizan Bhombal relies only on Prepathon. He works with a shipping equipment company in Mumbai and is preparing for the SSC (Staff Selection Commission) exam. "I had enquired about coaching classes but I found them to be too costly. That's why I just use Prepathon," Bhombal says. He spends two hours every day commuting in Mumbai's local trains, which is when he uses Prepathon to learn. "Now since I'm working I prefer apps for learning because I don't get time. Most of the time that I get is during travelling, that's why online learning is for me," he says. 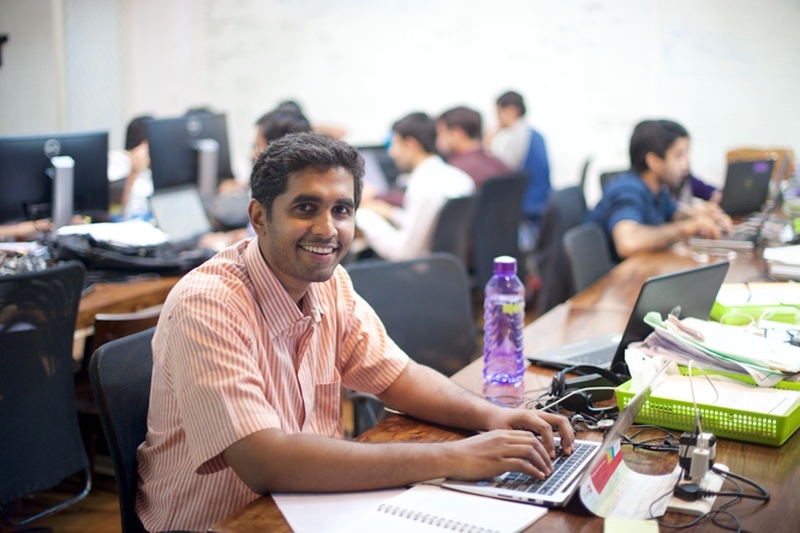 Toppr's Kochitty says students who learn differently switch to learning online full time. The transition is already taking place, he says. "When there is some glitch in one of our features, we get a lot of reports from students asking us to fix it," he adds. "That is when we realised that for those students Toppr is the only mode of study." Feedback and metrics are a big part of how Toppr improves its product. "Through internal metrics we check if a feature is being used," Kochitty explains. "There are some features, like asking doubts, that a handful of students use a lot but most students use infrequently." In some cases where a feature is used only infrequently, Toppr scraps it. The company also makes use of machine learning to gauge the level of comfort students have with different topics, and to benchmark progress. "The way coaching classes work is they make the students answer the 50 most difficult questions," Kochitty says. "At Toppr, we start off with one question and depending on whether students solve it, we give them another question of different difficulty." Toppr works with 25 experts who are qualified to handle advanced queries. While the service has 100 tutors per subject active every day to help students with their queries, the volume of questions can become tough to handle. As a result, the company is now exploring automation to try and make things move faster. 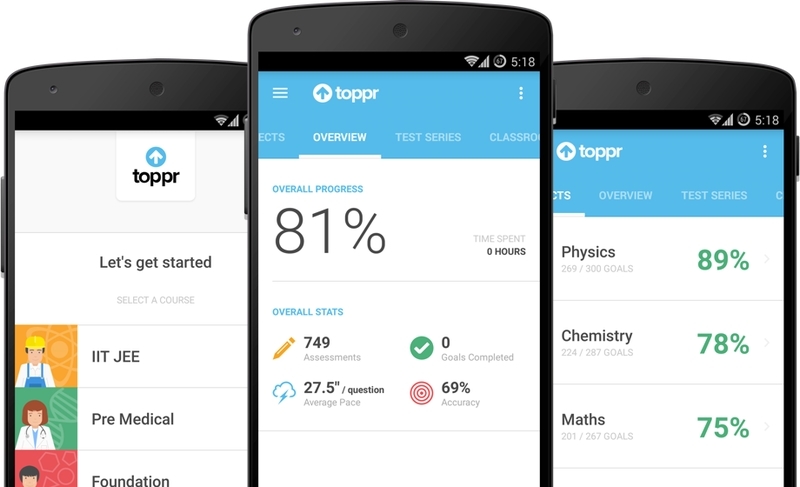 "Most questions are asked between 9pm and 1.30am," says Kochitty, adding that Toppr tries to ensure that more tutors are active during these hours. "We manually route tough doubts to experts, but we're planning to automate this process." One of Prepathon's coaches, Prashant Chadha, says students use the platform not only to get their doubts answered, but also to seek advice. "They want to know how to prepare," says Chadha. "There are specific queries with respect to approach, strategy, which college to go for, which exam corresponds to their specific skill set, etc. We have a lot of conversations as well." "One student I talked to was preparing for IBPS (Institute of Banking Personnel) exam," he adds. "Whenever she feels a lack of motivation or when she's feeling low, she comes on the coach chat and I try to cheer her up." Chadha has a background in teaching. He says that students have the same conversations with coaches offline and online. Like in a classroom, many students are too shy to ask questions, Chadha says. "A lot of them are under pressure, [they think] 'does this sound stupid? Am I being silly?' That is different [on Prepathon]. A lot of questions are very basic," says Chadha. The approach that these companies are using is a step away from MOOCs, and offers a more personalised experience for the students. At this stage, it's unlikely to make a big impact on coaching centres, even if the companies see it as inevitable; but for people like Faizan Bhombal, it's clear that the apps are making a difference.